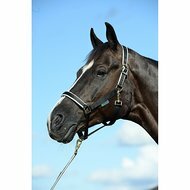 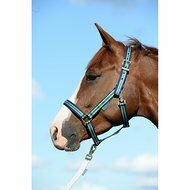 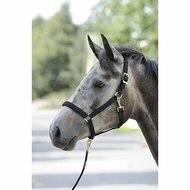 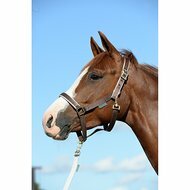 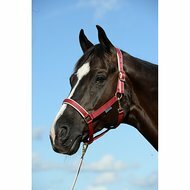 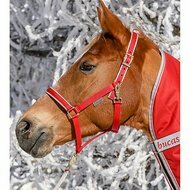 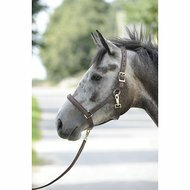 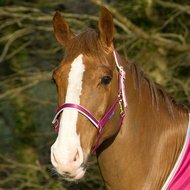 The Bucas Dublin halter has been designed to offer comfort and fit. 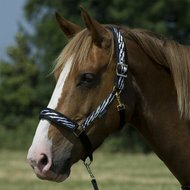 The bands of this halter are soft for the horse, but in the meantime also super strong. 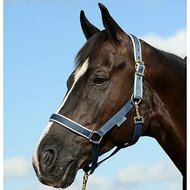 The tires of the nose and headpiece are softly padded to increase the comfort of the horse. 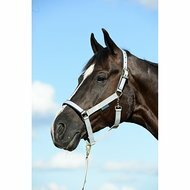 A specially curved ring ensures that the halter is easy to open and close and prevents the hook from being pressed against the horse. 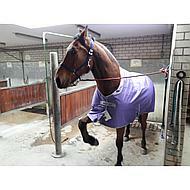 The hook is designed so that it can not be affected by snow, ice and low temperatures. 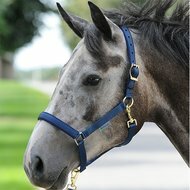 The headpiece is adjustable with a buckle.